Complex docking hatch on Orion spacecraft to use 3D printed ESD protected Antero material on its mission beyond the moon. Stratasys and Phoenix Analysis & Design Technologies are teaming with Lockheed Martin Space to deliver next-generation 3D printed parts for NASA’s Orion deep-space spacecraft. Key to the project are Stratasys advanced materials – including an ESD variant of the new Antero 800NA, a PEKK-based thermoplastic offering high performance mechanical, chemical, and thermal properties. The production-grade, thermoplastic 3D printed parts for NASA’s Orion vehicle are produced at the Additive Manufacturing Lab at Lockheed Martin in conjunction with PADT, which now employs the latest in Stratasys 3D printers and materials. Using advanced materials such as ULTEM 9085 resin and the new Antero material incorporating critical electro-static dissipative (ESD) functionality – NASA could meet key requirements for 3D printed parts to perform in the extremes of deep space. Antero is ideally suited to meet NASA’s requirements for heat and chemical resistance, along with the ability to withstand high mechanical loads. The Lockheed Martin, Stratasys and PADT-engineered collaboration is differentiated by an ability to create consistency and repeatability in mass scale across the entire additive manufacturing part production process. 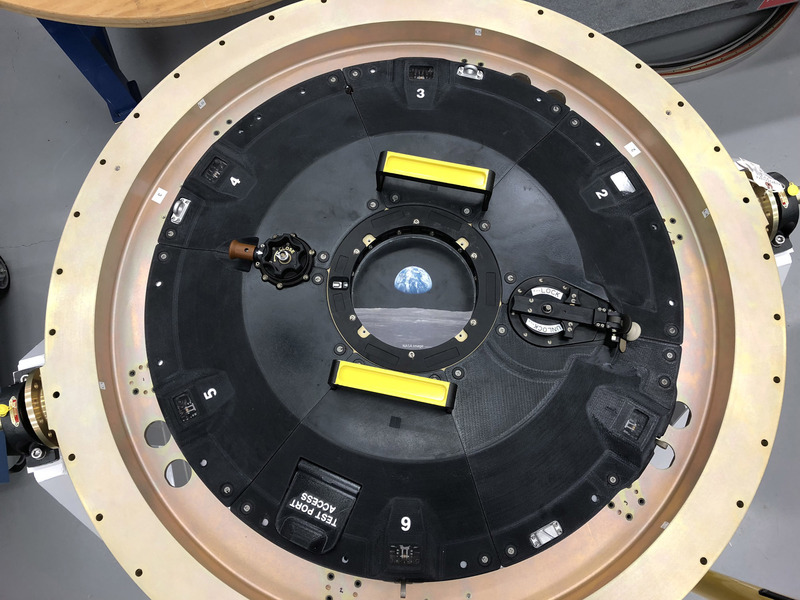 Lockheed Martin is also one of the first customers using Stratasys’ Antero, using the new thermoplastic for a critical part situated just outside of Orion’s docking hatch. The complex part consists of six individual 3D printed components locked together to form a ring on the craft’s exterior.